What others say – Welcome at Silobusters! 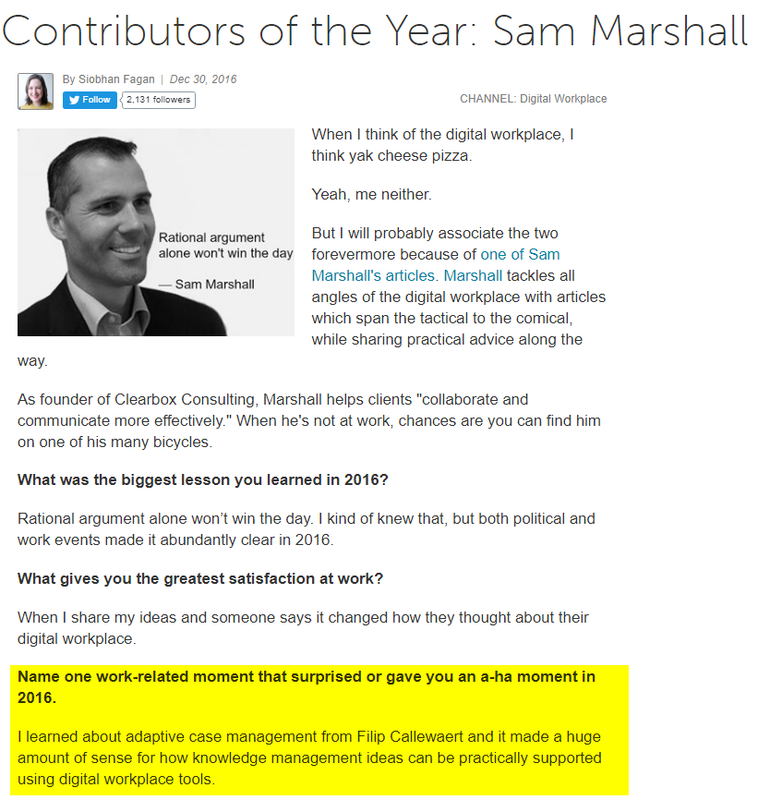 Everyone in the field of the digital workplace knows Sam Marshall. Of course we were honoured to have delivered his aha-moment of the year. 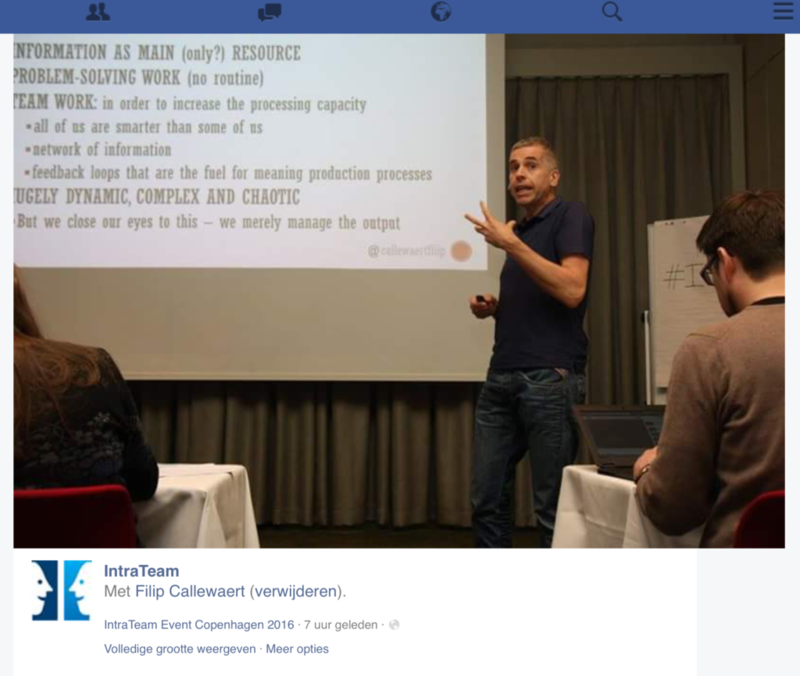 It’s clear that we impressed Sam at the IntraTeam conference in Copenhagen, after which he wrote a long article – we cite the end of it. Although I saw many encouraging things at IntraTeam, the shift to digital workplace thinking is still a work in progress. In a fascinating experiment, the Mads Møllercurated a wall of homepages and used a four-color pie chart to represent the ratio of News : Tools : Collaboration : Library. It was striking how dominant News still is in how we apportion space. In the same way, collaboration is still dominated by ESN stories. While these are interesting, they don’t really feel like they’re at the heart of people’s work. More that they’re decorating the periphery and finding their feet. Callewaert argued that the only material knowledge workers have is information. Such work is complex, collaborative and requires feedback loops in order to improve. Many production processes have been optimized, but we haven’t optimized knowledge work processes because they are much harder to observe. He used this as an argument for people to work out loud. The tools for this are not databases or ERP or even documents but Web 2.0 tools — wikis, feedback and hyperlinks. Port of Antwerp uses Atlassian Confluence plus Jira. 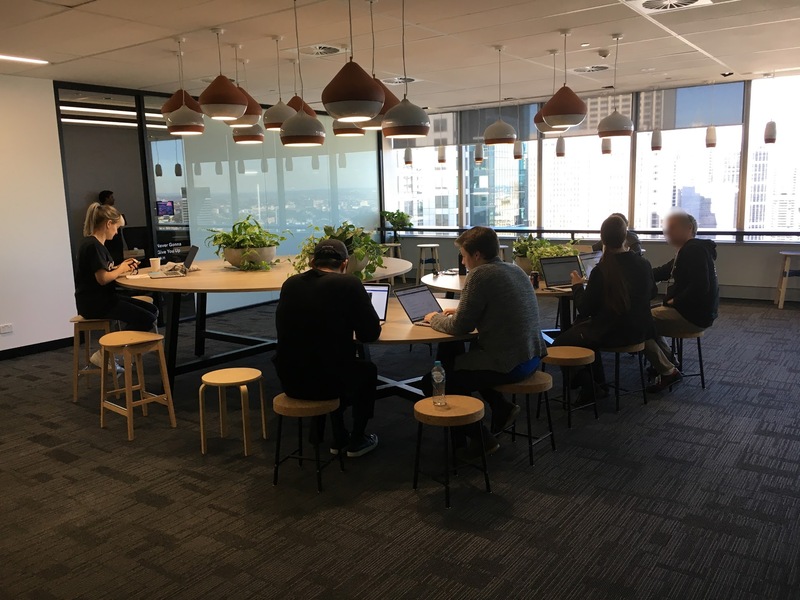 As a consequence, Callewaert said he typically gets only five emails a day, rarely has meetings and his team are motivated by a shared responsibility and clear communication.